Severe Weather Awareness - Thunderstorm season is approaching - are you ready? 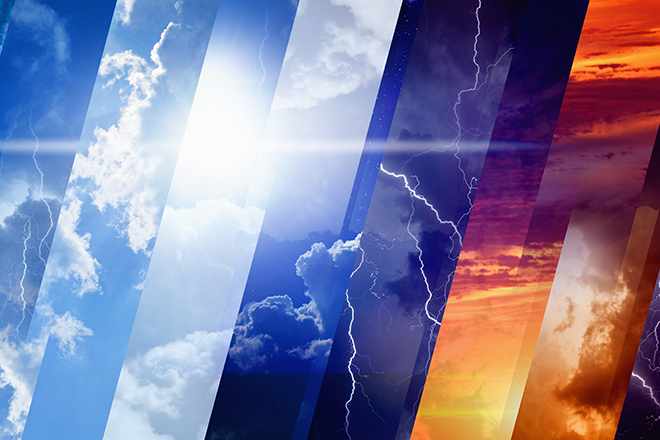 The National Weather Service wants everyone to be part of a Weather-Ready Nation. Colorado is an annual host for tornadoes, flash floods, damaging hail, killer lightning and wind damage. Are you weather-ready? Now is the time to make sure you know how to stay safe when severe weather threatens. Therefore, the week of April 15-21 has been designated Colorado Severe Weather Awareness Week this year. KiowaCountyPress.net and Plains Network Services will be giving away three weather alert radios to help promote weather preparedness. Each year, for the past 20 years, there has been an average of 40 tornadoes in Colorado. On average, three people have been killed by lightning and another 12 people have been injured each year. Some of the biggest insurance losses each year are due to large hail. Warnings are issued by the National Weather Service for a variety of thunderstorm hazards. Make sure you have a way to receive warnings. If you live in a community with a siren, understand the protocol for sounding those sirens. If you have a relatively new cell phone you will receive tornado and flash flood warnings on your phone if you are in the area of the warning. NOAA All Hazards Weather Radio is another great way to monitor the weather and receive warnings and can be found at most hardware or electronics stores. Check back Monday to read the first article in this week's series and remember to stop by 1208 Maine Street in Eads to register to win one of three weather radios being given away by KiowaCountyPress.net and Plains Network Services. Entries close at 4:00 p.m. Friday, April 27, 2018.